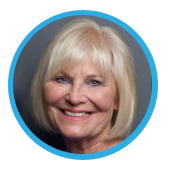 I am honored to share with you my interview with Sarah Sprinkel. I never thought about doing anything else. I was always good with children and believed the way I could make a positive difference in the world would be through serving children. I am inspired by public service servants, my mother who at age 95 never says a negative thing about anyone, and children always inspire me! I love the honesty and often innocence young children portray. 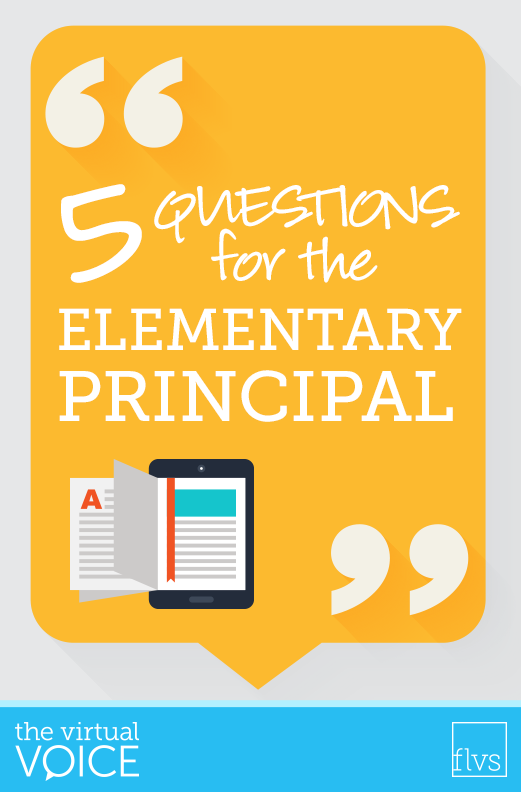 What do you enjoy most about being the FLVS Elementary Principal? I love to watch students learn and believe everyone deserves the opportunity to succeed. Our teachers make sure our children are successful and we have more success as a result of our devoted teachers. They find a way and never give up. What are the best three things you think you’ve done since you’ve become a principal with FLVS? 1) Hired fabulous people – teachers, instructional leaders, lead teachers, administrative support – everyone has been fantastic – I don’t do anything alone – we very much work as a team. 2) Built a strong team that works together for students and works with other teams to make sure we have everything our children require. 3) Created a model program designed around how students learn using Class Time as the centerpiece of all elementary learning. I believe our teachers are our greatest asset and my role is to encourage them and get out of their way to accomplish all that is good in education for children. I really believe our children are our future and I’m thrilled at what our children accomplish and how they treat each other. I am very positive about the future of our FLVS and our world. I start my day swimming and end it in the garden, reading, or perhaps playing golf on weekends. I admit I take a bubble bath every night and don’t apologize for using hot water. This entry was posted in Educator Edition, Full Time Edition, Homeschool Edition, Parent Edition, Student Edition and tagged #TeamFLVS, Benefits of Online Education, Careers, Careers at FLVS, Education, Elementary, Elementary Courses, Flex Elementary, FLVS Elementary, FLVS Flex Elementary, FLVS Instruction, FLVS Staff, Guidance, HR, Instructional Leadership, Jobs at FLVS, Meet FLVS Staff, Meet Your Teacher, Online instruction, Principal, Professional Development, Staff Interviews, Teach Online, Teaching Careers, Teaching Online, Teambuilding, Virtual instruction, Working at FLVS on October 21, 2016 by Dr. Jeanne Giardino.